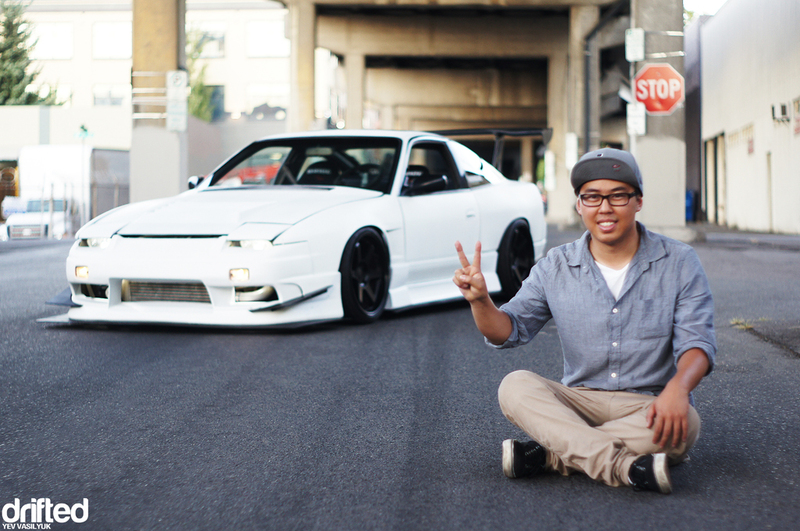 Since day one, I have been a BIG fan of Tony’s 240sx. 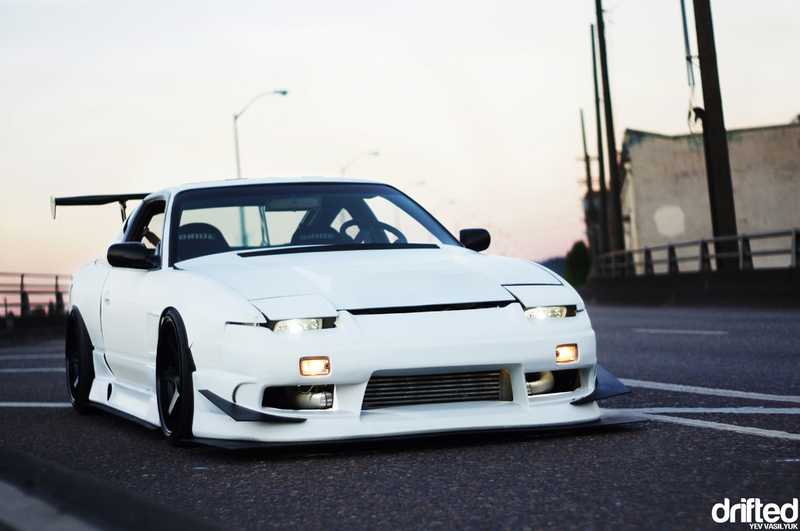 Its aggressive look continues to make it stand out from all the other 240s I’ve seen. 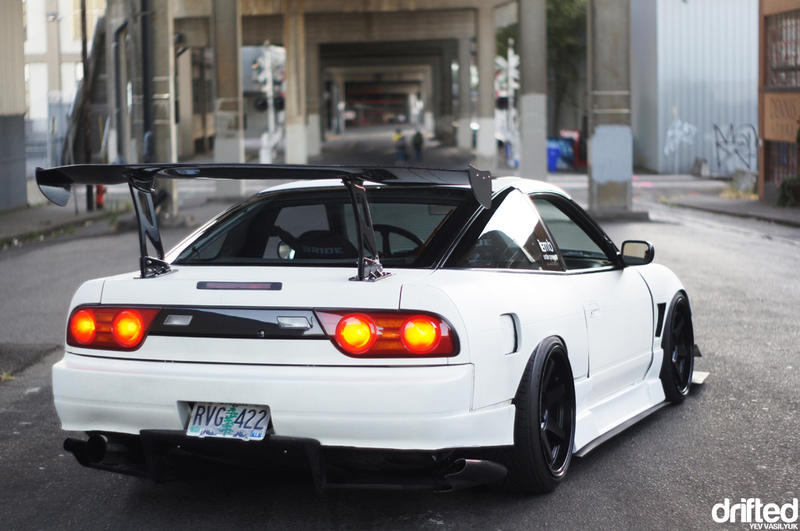 With a HUGE Origin GT wing, custom front canards (made by Tony himself), and the huge rear diffuser which makes the car look almost illegal to drive on public roads, Tony’s ride has developed the whole ‘Japanese Race Car’ look to it. His 240 is one grizzly machine that must be seen in person! 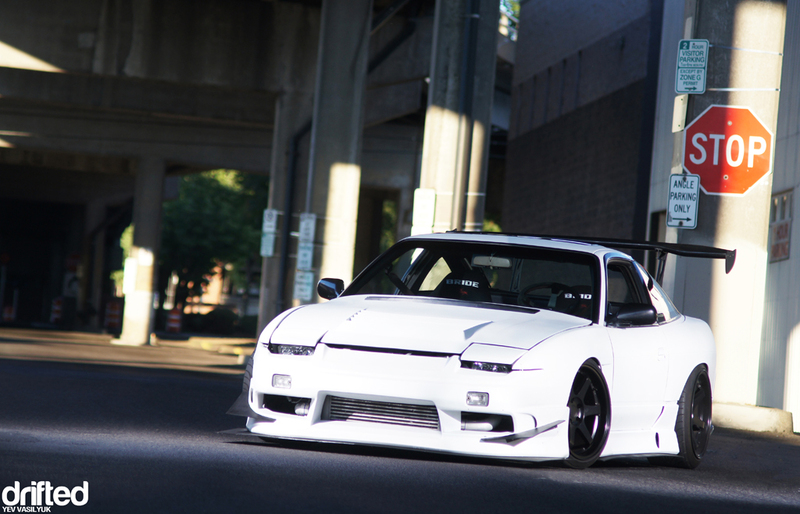 Having met Tony and ridden in his car with him, I can say that the 240sx is a mirrored reflection of its driver.Tony is a laid back college student who is passionate about quality and precision. 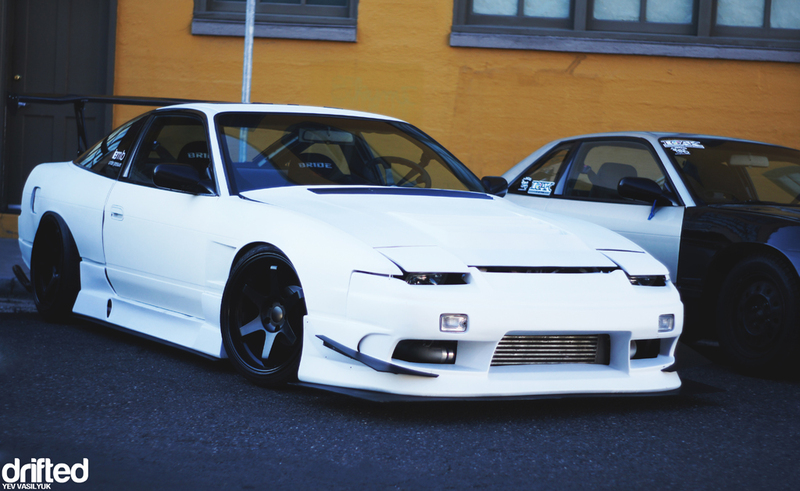 Every piece of this 240sx is real. 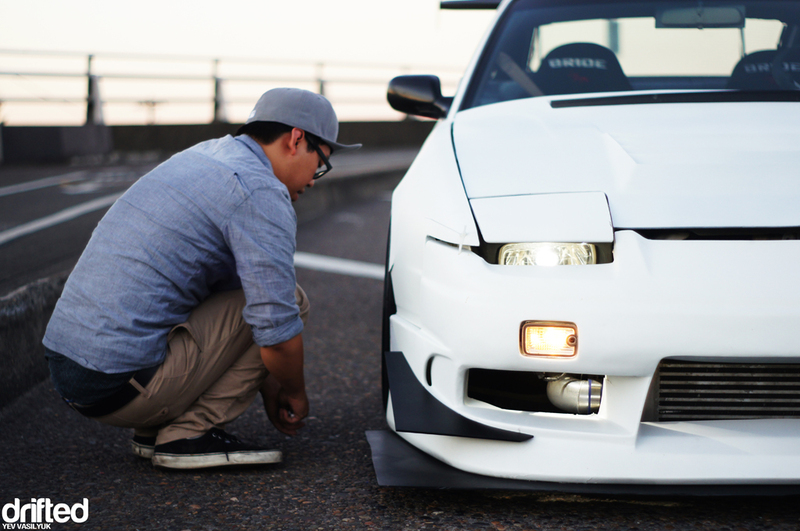 He didn’t cut any corners with regards to quality when building his 240sx. 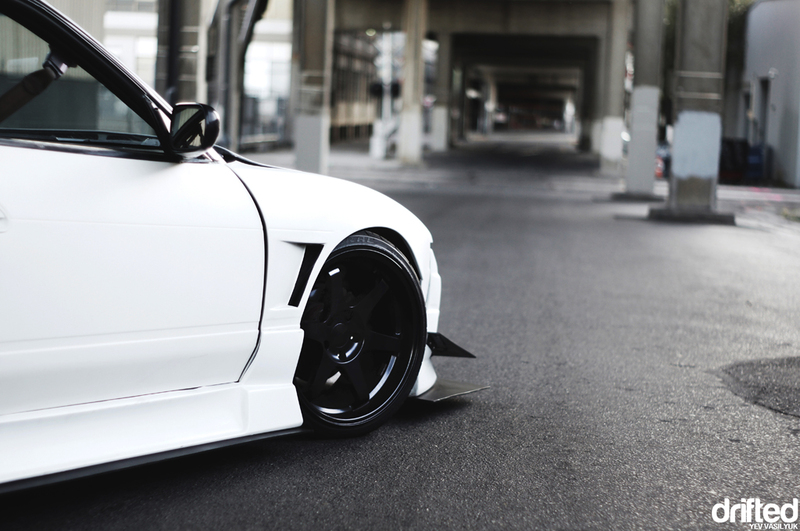 Everything that you see here is pure JDM. 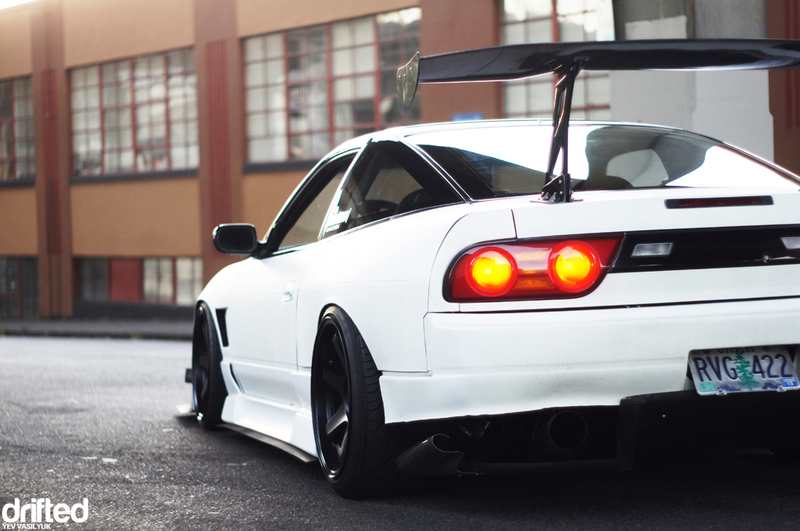 This car has a lot of style to it and is extremely low! There is only a 1.5” ‘air gap’ between the custom made splitter and road. An amazing feat like this is all possible due to his LCA coilovers with Varrstoen 2.2.1 wheels 18×9.5 +12 18×10.5 + 15 that are sitting on Federal 565 225/35/18 (F) + 235/4018 tires. 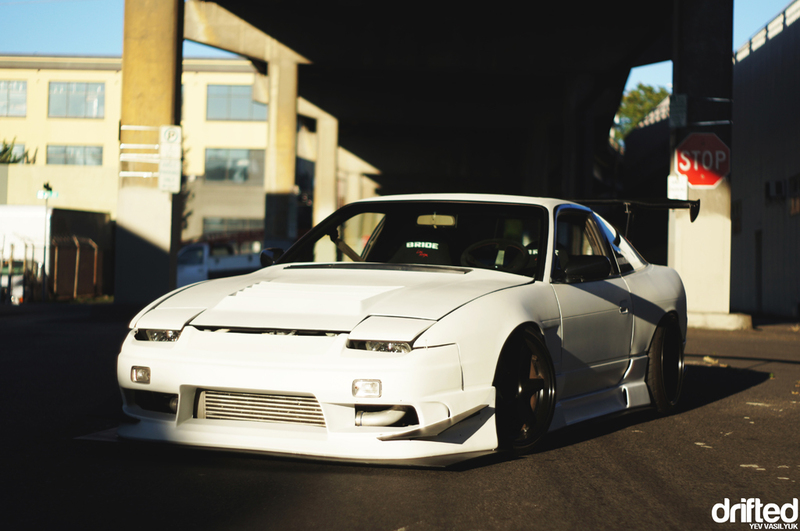 This 240sx is a piece of art and is inspiring to look at. Tony also has future plans for his car. He wants to gut out the interior and get a custom, full FD and Redline Time Attack roll cage, a fuel cell, big brake upgrade, and a bigger turbo! 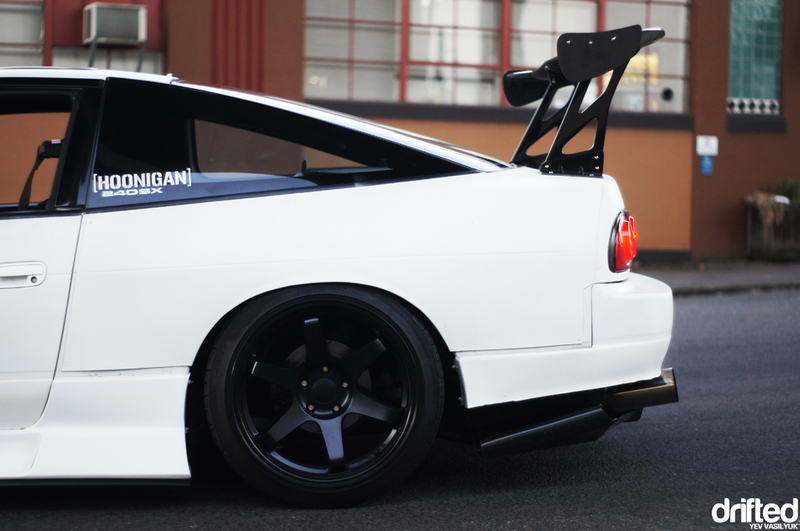 But the biggest goal of all is to maybe go RB26. By the sound of it, the car should be more wild once he’s finally finished with it. I can’t wait to see the results once Tony is finally done with his 240sx and the car is on tracks doing time attack or drifting! 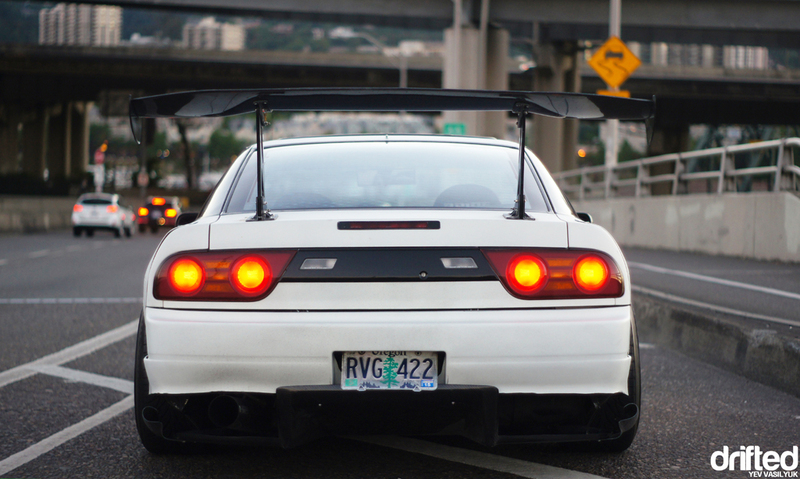 If you enjoyed reading about Tony’s Nissan 240sx then we recommend you check out our friends over at the 180sx Club. 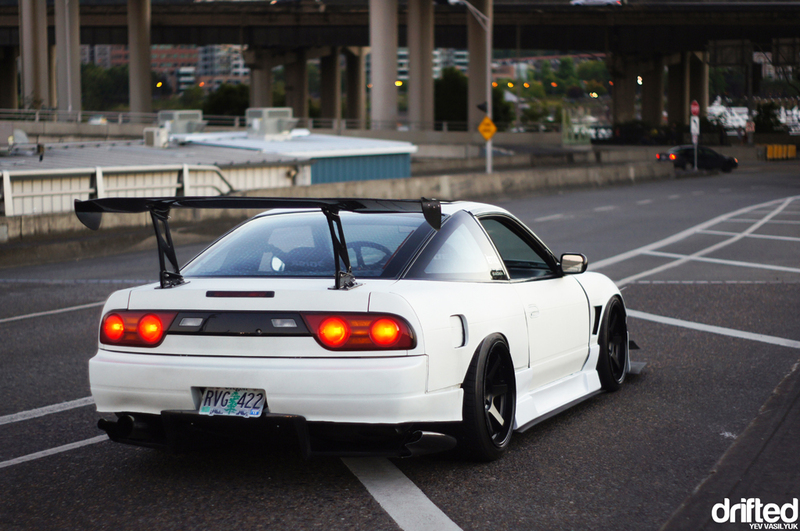 The entire blog is dedicated to the Nissan S13 chassis.